We’ve hit the 10,000 mark and now my next goal is 15K. I figure by Moday morning you guys can boost my ego, by talking, emailing and blogging about our story to the people you know, the online friends you’ve made and please don’t forget your myspace page. Why do you ask us to pass the word? Don’t you market yourself? As I say, this is off the top of my head. I’m going as fast as my brain can think. 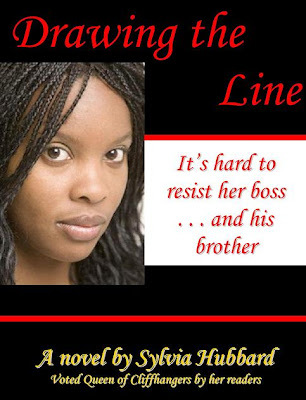 How can you just write a story without thinking about all the plotting and subplotting? Don’t know. Been doing it since I was 11 when my brother use to charge people a nickle to come to our porch so I could tell a story. I’d leave a cliffhanger after a while so they could come back the next day for another nickle to find out what was to come. How long does it take for you to finish a story? Three to four months maximum. I’m trying to finish this off by the end of December though. The shortest time was our first online book Mistaken Identity in less than 7 weeks. * Bethany has nothing to do with the Tyrex scandal. 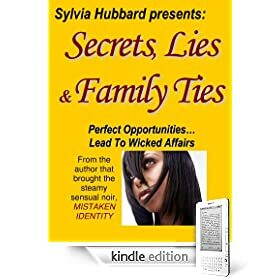 My book Secrets, Lies & Family Ties is now available on the new Amazon Kindle but they have it listed wrong, but if you guys have read the story (This is the Grae and Ezekiel story), have an Amazon account, please go there and post your review NOW!!!! I know you need your rest Sylvia, but that’s what you get when you grab a reader’s attention. I want more postings! I want more postings! I’m not normally a patient person here but I’m trying for your sake… lol… I love the way your charactors seem to come alive, I’ve read quite a few of your novels and I’ve found the same thing… Keep up the good work. As long as you keep writing, you’ve got a fan in me.